We recommend flying into this airport as it is only 10 miles from the Claremont Colleges. Ontario Airport website linked here. Taxi service is available from Ontario Airport to the campus; taxi stands are outside each terminal, just east of the baggage claim area (~$35-45). Both Uber and Lyft are available as well (~$15-18) from the Ontario Airport to campus. Super Shuttle is another alternative. Cost for a shared van could be as low as $21 (from Ontario), but it might take longer depending on the number of other drop-offs. If you plan to share a ride with other participants, please check which terminal you are arriving in/departing from. There are two terminals, T2 and T4. Los Angeles Airport (LAX) and John Wayne (SNA) are also options. Super Shuttle is also available from LAX. Free daytime parking along Foothill Blvd between Dartmouth Ave. and Mills Ave (red rectangle in image below). However, no overnight parking is allowed on Claremont streets, including Foothill Blvd. 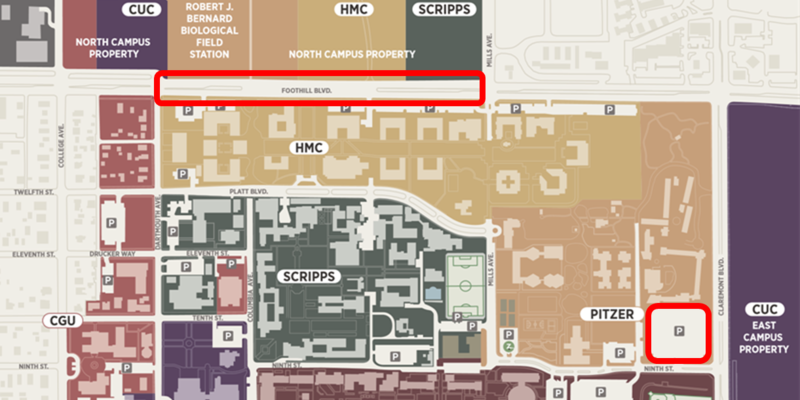 Free daytime and overnight parking is available in the East Mesa parking lot at Pitzer College (red square in image below). Use the Ninth Street entrance just west of Claremont Blvd. Download the complete parking handout here. 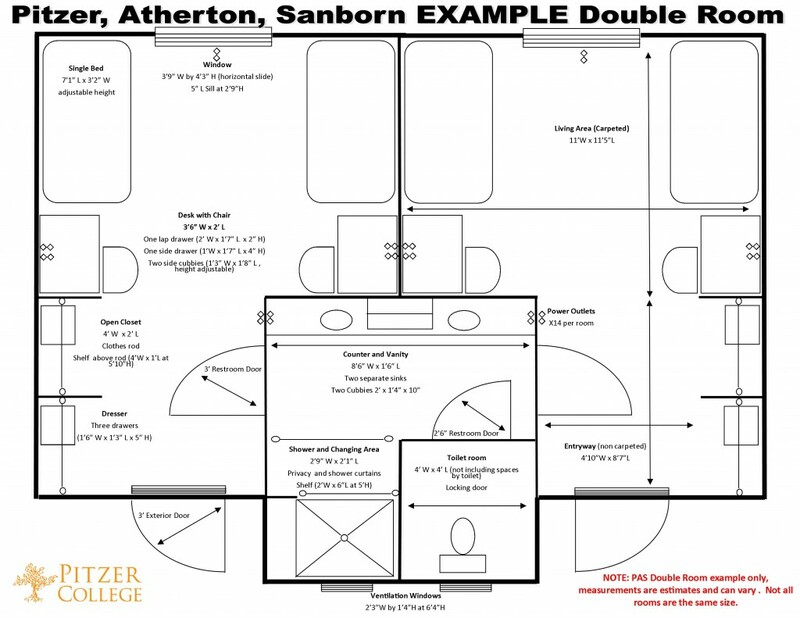 Dormitories are located in the Pitzer, Atherton, and Sanborn (PAS) complex. Dorm rooms are suites with single occupancy rooms, and shared bathroom between two rooms. Linens provided: 1 fitted sheet, and 1 flat sheet, 1 blanket, 1 pillow, 1 pillow slip, 2 towels, and 1 wash cloth. Coin operated laundry facilities available. 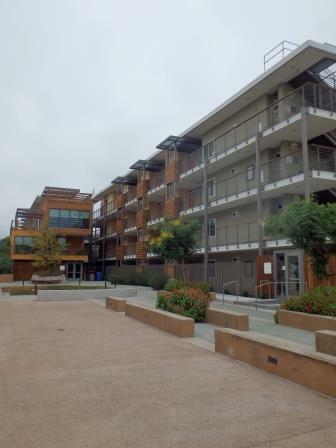 The dorms at the PAS complex. Dorm layout. Each participant will have their own room and share a bathroom with their dorm-mate.